MAC was a men’s club, and their early activities included an annual banquet, July 4th formal, annual summer picnics, the annual “Clubs on Parade” down 24th Street, and more. However, my research showed me the MAC was much more than simply a good time. This is a history of North Omaha’s Midwest Athletic Club. These are the 1968 winners of the Midwest Athletic Club Scholarship. 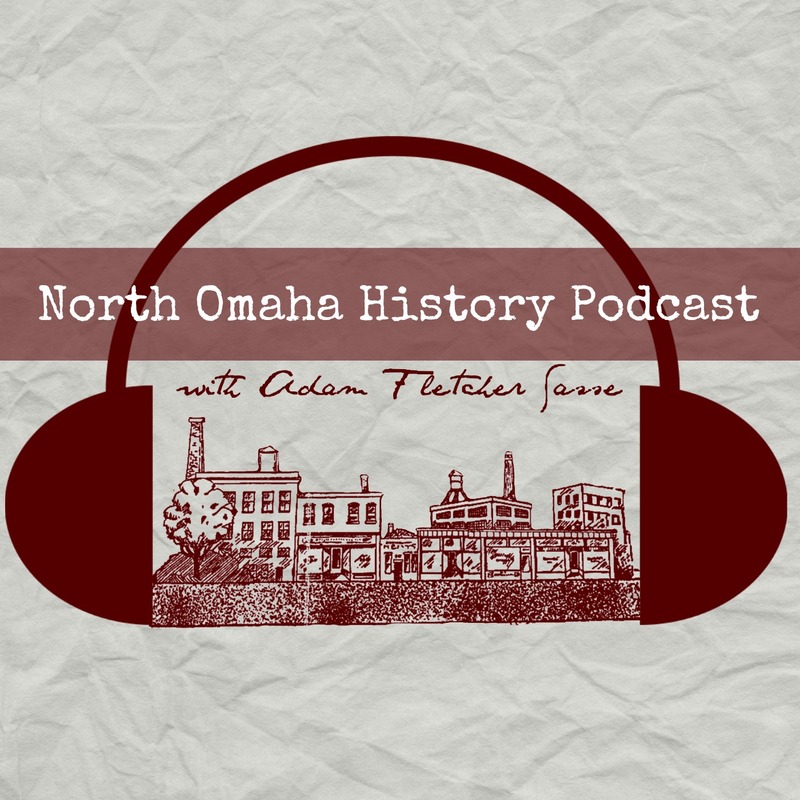 According to a variety of sources, for several decades the African American community in North Omaha was sustained by social clubs. Starting in the 1920s, many of these groups were informal, meeting occasionally and hosting gatherings on a whim. Others were longstanding, structured and rigorous about getting together. Supporting middle class norms and lifting up new members all the time, these social clubs were the threads that tied together families, neighborhoods and culture. Many famous North Omahans were associated with the MAC over the years. One individual was Charlie Hall. Herman Franklin was the original president of the MAC, and is credited with founding the club. Speakers at the club over the years included Father Markoe, Whitney Young and many others. Located at North 22nd and Grant Streets in the Near North Side neighborhood, the Midwest Athletic Club has a storied history every North Omahan should be familiar with. The Midwest Athletic Club has been at N. 22nd and Grant for more than 60 years. In order to have these social clubs, the community had to have physical structures for them to meet, celebrate and recreate within. With de facto segregation the norm in Omaha, many of these social clubs met regularly in members’ homes, with 30, 50 and even 100 people cramming into various houses throughout the Black community. However, with more white flight and loosened racial restrictions within the Near North Side starting in the 1940s, larger buildings became available. By the 1950s, the AmVets Club and the Waiters and Porters Parlor were hosting social club gatherings regularly. Another entry into the field was the MAC. The building at 2306 North 22nd Street in the Near North Side neighborhood began its life as a house that was built in the 1890s. By the 1910s, it was headquarters for North Omaha’s Colored Young Women’s Christian Association, or Colored YWCA. Even in its early capacity as a YWCA facility, the building hosted several regular meetings of social clubs. In the early 1950s, it became home to the MAC. When the MAC became a formal charity in 1960, the states mission was training in sports; combating juvenile delinquency, and; providing scholarships. As of April 2018, the building is rumored to get demolished soon. This is Byron McCane with a trophy from MAC recognizing him as their Outstanding Athlete of the Year in 1964. Before they had a physical space, the MAC was playing sports around the community. In 1960, they hosted events at the Near North Side YMCA. Other sports included softball in 1979. That year, the Omaha Star was excited the club would play a Denver team at the Boyd Field by Carter Lake. In the 1980s, the Midwest Athletic Club was host to the C. W. Boxing Club, with formidable foes for many young boxers around the Omaha area. This is an Omaha Star pic showing the Midwest Athletic Club members at their annual spring dance. The Jolly Mates, the Clover Leafs, the Travelers Club, Gay Ladies, the Royal Circle and the Debonair Club were only a few of the African American social clubs in North Omaha. Playing cards, cocktail parties, dancing and merely socializing were among some of their primary activities; building social capital, strengthening community bonds and securing upward mobility among members were some of their actual outcomes. Starting in 1960, a group called the Interclub was hosted by the MAC through the 1960s. Working with more than 20 social clubs, the MAC brought representatives together monthly to “bring about a closer understanding within the clubs for social and civic causes.” Hosting regular speakers, groups such as the NAACP and Urban League used Interclub as a platform for civil rights, urging members to get out the vote and participate in protests and boycotts. There were also opportunities to watch movies, share diners and play bingo created by Interclub. There were formal events for social clubs held at and sponsored by the MAC, which was home to the Ballerina Ball Room. Some affairs were very formal, too, with tuxedos and formal gowns in the spring and early summers during the 1940s and 50s. As the years went on, dark blue and black tuxes gave way to white tuxedos, with kings and queens crowned, parades of honorees, and tons of roses and bouquets and more handed out. The queens were presented with furniture, and the kings received luggage and other work items. Within a few years after this action, 4CL was founded to take up the Civil Rights gauntlet. However, its clear the MAC stepped in at the right time. Acting as a philanthropic charity, the Midwest Athletic Club also held fundraisers, donated money and support, and fostered philanthropy throughout North Omaha’s Black community, too. Throughout the 1950s into the 1990s, partnering with groups like the Near North Side YMCA, the Jaycees and others, the MAC donated Christmas presents, brought Santa and the Easter bunny to kids, and led the community in various giving activities. In 1962, the MAC showed their philanthropic muscle by hosting a Christmas celebration at the Near North Side YMCA. The event had more than 15,000 kids attending, and featured 30 minutes of Christmas carols, gifts, candies and more for each of the attendees. Activities continued at the MAC into the early 2000s. For instance, a social club called Junior Knights of Peter Clover had a BBQ fundraiser dinner there in 1998 to send youth to a national conference. The Malcolm X Memorial Foundation held several events there starting in the 1980s to raise money for the Malcolm X Memorial Birthsite. The future of the MAC building is questionable, but the impact of the organization on the community is undoubtable. Please leave your memories in the comments section below! This June 16, 2005, article from the Omaha Star reminisces about the Midwest Athletic Club in North Omaha. MANY SOCIAL CLUBS CONTRIBUTING TO BUILDING NORTH OMAHA. Hi Eddie, and thanks for your note. I researched and wrote this article because you asked. Please let me know if there’s anything else I should write about. I enjoyed this article on the club, I would love to talk with you about some more history in our city that took place back in the day! THE MIDWEST ATHLETIC CLUB BUILDING HAS BEEN SOLD TO THE JESUIT MIDDLE SCHOOL ACROSS THE STREET FROM US. IT WILL EVENTUALLY BE TORN DOWN TO MAKE ROOM FOR A SCHOOL PLANNED PROJECT. WE WILL CONTINUE TO FUNCTION AS A CLUB.